Are you looking for a Dallas drug attorney who has the qualifications and expertise necessary to help you win your case? Throughout the pages of this site, you’ll find seasoned, competent Dallas interstate drug lawyers, but choosing the right one isn’t always easy. After all, Texas has cracked down hard on substance-related crimes, and a guilty verdict will impact the rest of your life. Use the tips on this page to help determine which legal representative is the best one for you. Many people rely on referrals from family and friends, but any information you receive should be double-checked for accuracy. You’ll want to ask probing questions about how any referred professional conducted himself in court, as well as with his client, and you should verify that the individual specializes in drug cases, not just criminal defense. Double check the State Bar website to make sure anyone you consider is registered and licensed to practice within Texas. 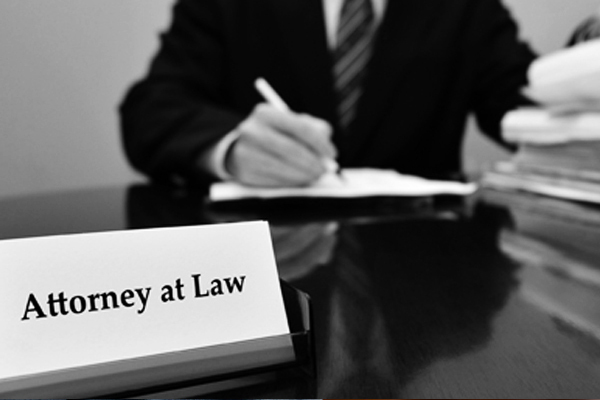 You can also find a suitable drug lawyer in Dallas right here on this site. It’s a good idea to speak with several Dallas drug lawyers, so you can compare the qualifications of each and find one you get along well with. Those we highlight on this site offer free consultations, which makes it easy to talk to a couple before you make your final decision. As you speak with them, look for the following traits. Dedication: Watch for signs that the candidate is interested in your well-being and the outcome of your case. If he asks a lot of questions about you or the arrest, this is a sign that he’s investing himself in you. Communication: Some legal professionals go a mile-a-minute or speak using a lot of complex legal jargon. Don’t confuse this for competence. You should be able to understand everything a candidate is explaining. If you can’t, and he doesn’t break it down better for you, you may want to move onto the next candidate. Availability: Be sure that each candidate has the time necessary to devote to you. He should be able to schedule a consultation easily and respond to your inquiries promptly. Rapport: Make sure you feel a good connection with the professional you choose. You’ll need to have a good relationship, without friction or communication issues, in order to manage your charges effectively as a team. Affordability: It probably goes without saying, but you should be upfront about what you can afford to pay. An attorney may charge over $1,000 per hour, though most will run at least a couple hundred. Find out in advance what kind of retainer each wants, as well as when funds will be due throughout the case. Court and Bail Documents: Any paperwork you have already received from the court, as well as documents related to your bail, should be kept in your file. Police Report: Obtain a copy of the police report from your incident. Any other papers you may have received from the authorities should be saved, too. Attorney Paperwork: Your Dallas drug lawyer may have his own standardized forms he likes clients to complete before the appointment. If you can get them in advance, complete them and either send them back to the office or keep them with all the other paperwork. Your Report: It’s also important for you to write down all the important events to the best of your recollection. Make note of times, days, and the names of people involved. If you have contact information for witnesses or witness statements, include this as well. For the most part, it’s best to let the legal professional lead the meeting. Even if you’re bursting with questions, give him the opportunity to get the information he needs before forming any kind of strategy. Be honest with him, so that he can give you realistic feedback about your situation. If you still have questions at the end, don’t hesitate to ask. After you have met with each drug lawyer in Dallas that you’re considering, only then can you make an informed decision. Even if you feel confident about the first one you meet, you should still speak with at least one more. This way, you can go forward with absolute confidence that you’re choosing the very best Dallas drug lawyer for you and your particular needs. Take a look through the profiles listed here and begin scheduling your free case evaluations today.